When key leadership roles in your organization become available, it’s vital to know how prepared your future leaders are to step up to the challenge? Many CEOs express concern about the lack of bench strength in their companies and worry that they lack sufficient “ready now” candidates to replace losses of key leaders. As a result, they feel that future continuity and performance of the business is at risk. 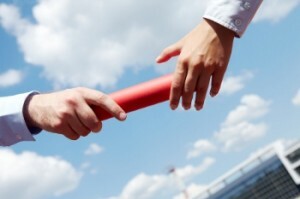 The purpose of succession planning is to help you build bench strength and is the pre-emptive process of identifying significant leadership positions that could put the organization at risk. Our Succession Planning program involves planning for the smooth continuation and success of a business which depends greatly on the availability of competent staff. Succession planning enables your organization to identify talented employees and develop them for future higher level and broader responsibilities. In order to avoid talent shortages, we work with your organization to manage leadership succession by a structured approach that is agreed to, understood and followed by everyone involved in the planning process. Most companies would agree that it takes time and resources to on-board a new employee. Beyond the costs and effort to attract, recruit and select high-caliber talent, additional resources are invested in employee orientation, training and integration into the new organization. And, typically employee orientation programs often fall short of what new employees truly need to become productive quickly. Whether you are a company wishing to demonstrate your commitment to your new employee, or an executive who wants to perform and excel during those crucial first 100 days in a new role, PAUL ALEXANDER’s On-Boarding program starts well before the employees first day on the job. Our program focuses on creating a series of action plans to support the new employee’s arrival at the organization. We gather information, learn about the organization and craft a communication message appropriate for the level and expected impact the new employee will have on their direct reports, the organization and general public. Identifying and contacting key stakeholders. Developing a framework for an effective communication campaign. Selecting and prioritizing priority calls and meetings. Debriefing and consolidating learning from the meetings. Professional on-boarding, designed well and structured correctly has proven to get Executives and Senior Managers up to speed in their new jobs quickly, both professionally and personally. The work we do with you will lead into a robust 100-day plan and a well-rounded leadership development plan for the new employee, their professional team and their family.